Yehudi Menuhin plays music on the violin; it is with his violin that he expresses the Divinity within him. 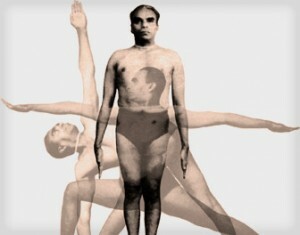 I play yoga asana on my body. What is the difference? How can we say playing on the violin is spiritual work and performance of asana is merely physical?